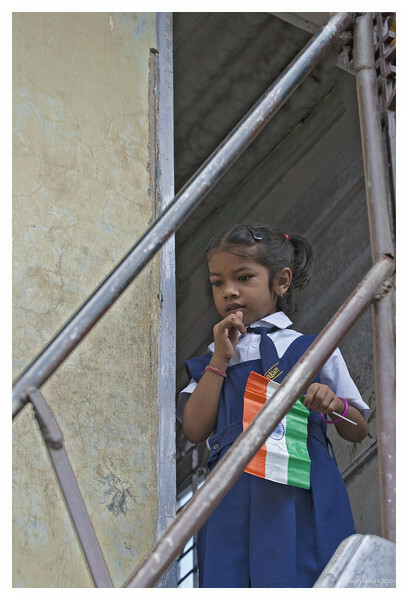 15th August is India's Independence day and this girl was at her school for a flag hoisting ceremony. Great picture. Such an intelligent face full of all the wonders of the world. Nice compensation. I love the way she seems to be looking shyly down...very nice portrait. The rail lines really do do an excellent job of framing her delightful face. I like how she's framed with the railing -- precious capture! Great capture of her intense look. Nice use of framing with the rail and door.